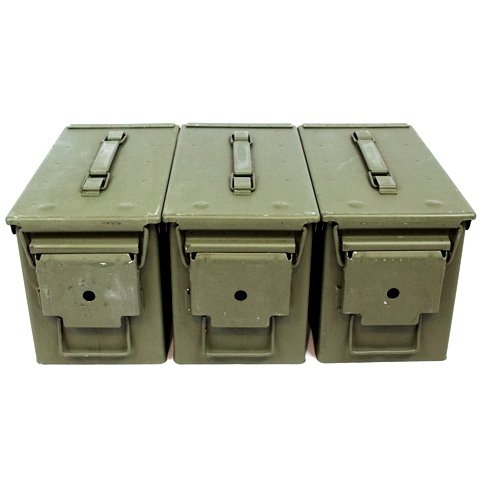 Quantity three, new condition, USA Made, 50 cal size metal M2A1 ammo cans priced much less than retail! Each ammo can is labeled for 840rds of 5.56mm M855 ammunition on 10rd stripper clips in digital white lettering or yellow stenciled type. 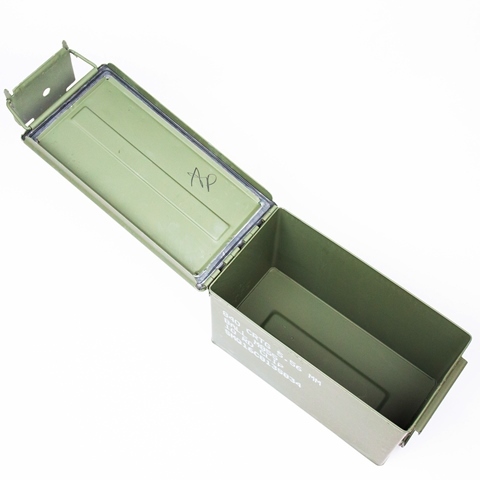 The inside of each ammo box will be in new condition with a tight, waterproof rubber seal to safeguard your ammunition and valuables from moisture contamination. Each three pack of ammo cans is shipped in a cardboard box via UPS Ground. 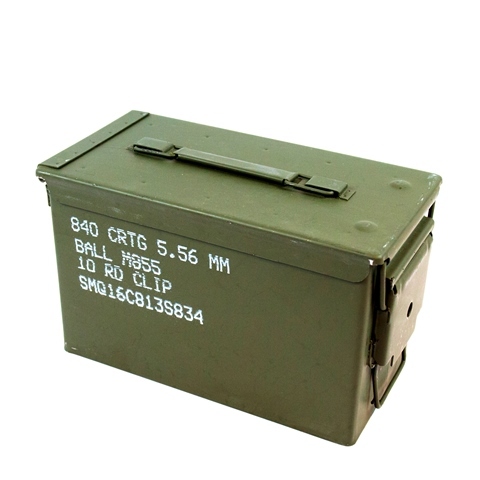 Depending on the specific production lot, it is also possible the lettering on the ammo cans may vary. Some of the ammo cans may have minor scuffs from jostling around inside the original military ammo crates during shipping, but otherwise are in like new condition! Purchase with confidence knowing these are not rusty, dented, spray painted military surplus ammo cans. 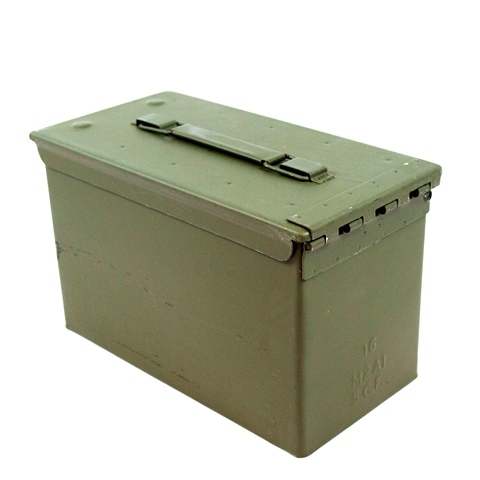 Why buy ammo cans from cleanammocans.com? Outside Dimension: 11-3/4" x 6" x 7-1/2"
Inside Dimension: 11" x 5-1/2" x 7"
Shipping Discount Applied for Multiple Units in the Shopping Cart! Excellent service. 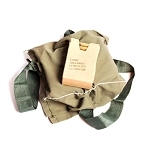 Really helpful and great communication, shipped fast and well packed. Arived in great shape and as advertised. Except for the typical stenciled paint, like new. Very pleased. Great looking with no rust. Seals look good and no dents. Will buy more. Looks just like the ones I have had for years. Look and work great. Will buy from them again. Clean cans. Shipped quickly. Good price. Made in America What more could you ask for? On Hand! Hooyah! Free Shipping.